We pride ourselves on our Manicurists and Pedicurists – we only select the best of the best to work with. Best of the best means, they are highly professional, creative, caring, super friendly and practise all the important hygiene measures. 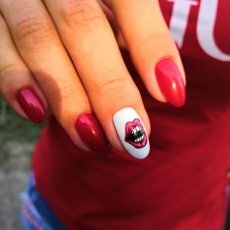 They have all the latest knowledge, techniques and materials needed to make your hands and nails look stunning, paying careful attention to the health of your nails at all times. Cleaning and shaping of your nails. Treatment of cuticles. Buffing and refreshing your nails. Hand cream. Hand scrub and peel. Cleaning and shaping your nails. Treatment of cuticles. Buffing and refreshing your nails. Hand massage. A proper pampering experience for your hands and nails. 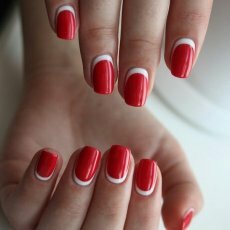 We do not recommend nail polish, shellac, overlay or nail extensions right after a spa manicure. An ancient Japanese technique, it buffs nutrients deep into your nail bed to make your nails super healthy so that they shine on their own without the need for a drop of polish. Cleaning and shaping of your nails. Treatment of cuticles. Buffing and smoothing the nail plate. Applying beeswax paste. Final polishing with talc powder. Hand cream and cuticle oil. 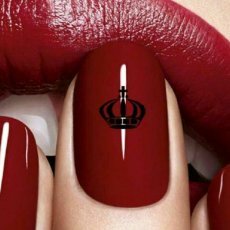 The Shellac / Gel polish manicure treatment will give you smudge-proof nail colour that lasts for weeks without chipping. Shellac or Gel polish is a hybrid as it is a blend of gel and nail polish. Because it is like a polish, it can’t be used to extend your nail. 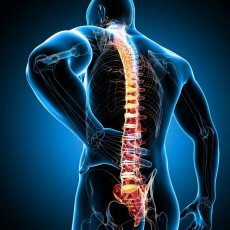 Because it is like a gel, however, it adds strength and durability. In the long term, Shellac and Gel polish are much less damaging to nails than traditional Gels (or Acrylics). The main benefit is that it reduces chipping. Cleaning and shaping of your nails. Treatment of cuticles. Buffing your nails. 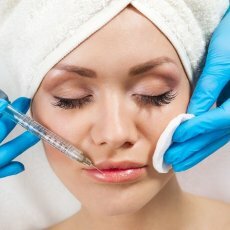 Applying base gel. Curing with LED lamp. Applying a thin layer of Shellac / Gel polish. Let it set. Applying a second layer of Shellac / Gel polish. Let it set again. Top coat. Let it set finally. Treatment of cuticles. A mixture of liquid monomer and a powder polymer, which when combined form a hard protective layer that is sculpted over your natural nails. 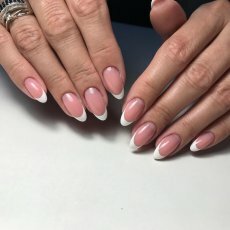 Acrylic nail extensions will only become hard when exposed to air. When the process is complete, the nails become a strong and glossy base that is fantastic for colour application. It’s durable and can last a long time. A special mixture applied either on top of an artificial nail extension, or directly onto the natural nail bed to strengthen nails and promote natural growth. The gel is usually applied in very fine layers, ‘curing’ the gel with a UV light between each layer, so that the finished result is hard but still flexible with a natural looking glossy finish which is both instantly dry and chip resistant. Gel can be applied on top of an artificial extension to add length. 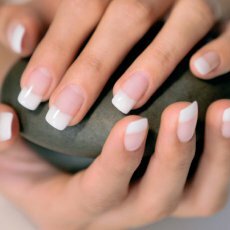 They are particularly good for individuals who have very short, weak or bitten nails because they allow the nail to strengthen and grow below the layer of gel. – Does not cause damage to the natural nail and can be used to strengthen, protect and promote growth in the natural nail. – Odourless and more flexible. – Gel is considered to be a safer and more environmentally friendly option to acrylics. Acrylic or Gel applied on top of your natural nails. The length of your nail stays the same. 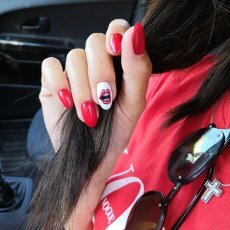 When you want to add length to your nails, we would use this technique. 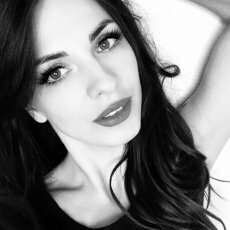 A form will be customized to the required shape, which will then be fitted just beneath the edge and finally a layer overlay of gel or acrylic will be added and sculpted on it. Length will be then customized according to your request. We do not use tips as we think they are not hygienic. Filling in grown out gaps in between cuticle and acrylic/gel. Fingernails grow at an average rate of 3mm/month and the beautiful designs done will be pushed downwards, hence infills are done by filling in this gap in between to cover up the grown out section and then applying an overlay to create an even finish. Expect a very thorough and highly professional pedicure service followed by a toe polish of your choice. A very thorough and highly professional pedicure service followed by French style toe polish: pink on the nail bed, and white at the tips. The result: beautiful, natural looking toes and refreshed feet. Starting with a therapeutic foot spa, your feet are soaked and cleansed to soften the skin – like a mini-Jacuzzi for your feet. An exfoliating rub will slough off dead skin with salts or minerals. Your pedicurist will remove your cuticles and cut and shape your toe nails. Creams and aromatherapy oils are massaged into your feet to refresh and soften your skin. Result: Your feet will look as well as feel naturally fantastic. Again, a very thorough and highly professional pedicure service followed by applying shellac on your toes, curing it under UV light and making it durable and resistant. 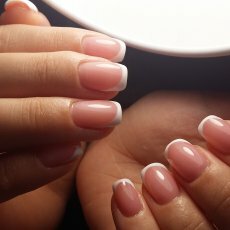 Choose one colour or go with the beautiful French style shellac / gel polish: pink on the nail bed and white at the tips. An express version for those who are tight on time but want their feet to look nice and healthy. Ideal as a regular treatment to make sure your feet always look at their best. A manly pedicure for well-pampered feet. Designed specifically for gents, this service will make sure your toe nails are trimmed and tidied, and your toes are moisturised and massaged. If you need an appointment outside of our regular opening hours, please feel free to call or email us and we’ll see if we can assist you.